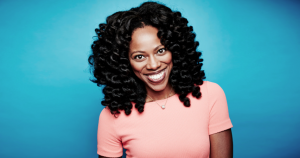 * Check out my August 2017 interview with Yvonne Orji, who portrays Molly on HBO’s “Insecure” – “Living Counterculturally in Hollywood” for the Lookout. *Check out my January 2016 article “Hard Lessons: Before Jackie Holness Could Pledge Delta Sigma Theta She Had to Look Inside Herself” on The Atlanta Journal-Constitution website myajc.com. *I will be the featured speaker during my church’s annual Racial Reconciliation Service on Sunday, Jan. 17, 2016! The theme is “Things We Have in Common” based on Ephesians 4: 1-6. My church, Central Christian Church, is located at 1916 Dodson Drive, Atlanta, Georgia 30311. The service starts at 11 a.m. If you are in the metro Atlanta area, this is my invitation to come! 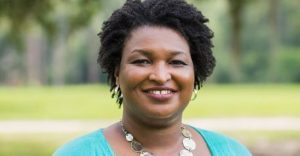 *My blog post “Why Black Pastors Cozying Up to the Donald (Trump) Is the Wrong Thing for the Black Church…” on December 2, 2015 made the Atlanta-Journal Constitution website, ajc.com! *My blog post “Does Halle Berry’s Third Divorce Make Her a Modern-Day Woman at the Well?” on November 11, 2015 made the Atlanta-Journal Constitution website, ajc.com! *My blog post “Mother & Daughter Survivors Treated for Breast Cancer One Year Apart, Inspired By Deceased Relative’s Fight…” on October 28, 2015 made The Atlanta-Journal Constitution website, ajc.com as well as the AJC Sepia Facebook page :). 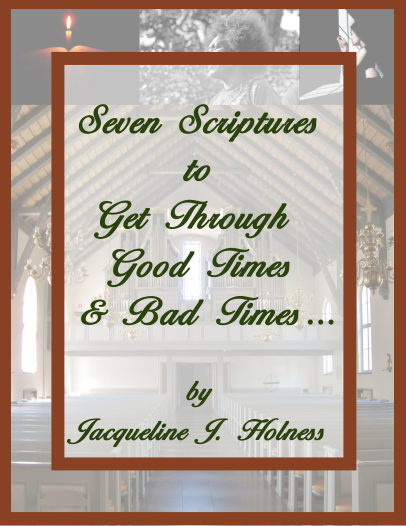 *Another one of my blog posts “Seven Oh So Necessary Things You Must Be Prepared To Give Up if You Turn Away From the Lord…” on October 14, 2015 made The Atlanta-Journal Constitution website, ajc.com, as well as the AJC Sepia Facebook page!!! Yay God!!! * My blog post “Why Is Tootie & Regine (aka Kim Fields) on Season 8 of ‘The Real Housewives of Atlanta?!! !” on September 30, 2015 made The Atlanta Journal Constitution website – ajc.com as the well as the AJC Sepia Facebook page!!! 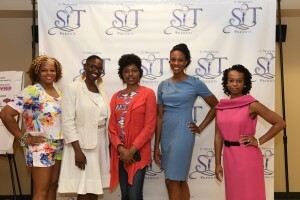 * On Friday, July 10, 2015, I was one of four journalists and or authors who facilitated the “Express Yourself Through Writing” workshop as a part of the 8th Annual Sisters of Today and Tomorrow Leadership Conference for Girls held at the Georgia Institute of Technology in Atlanta, Georgia. To read a story about the conference, go to rollingout.com. *Check out my Open Letter to Mase on UrbanFaith.com. *On Saturday, Dec. 8, 2012, I will be one of several authors participating in the Third Annual Southwest Arts Center Book Festival from 10 a.m. to 2 p.m. The center is located at 915 New Hope Road, Atlanta, GA 30331. *Join me at the seventh annual AJC Decatur Book Festival in the heart of downtown Decatur on Aug. 31-Sept 2, 2012. I am one of the exhibitors in the book market and street fair, and I will be in booth 208. For more information, please go to decaturbookfestival.com. *I won an Atlanta Association of Black Journalists award for business reporting with Atlanta Tribune: The Magazine!!! Again, I thank God for this blessing :). *My book has ranked as an Amazon Best Seller and a Black Expressions Book Club Best Seller!!! Praise be to God!!! *Join me Sunday, May 6, 2012 at F.A.M.E. (Fine Arts & Music Extravaganza) at The Greater Travelers Rest Baptist Church, 4650 Flat Shoals Parkway, Decatur, Georgia 30034 from 5-7 p.m. F.A.M.E. will feature musical and dance performances, an art show and poetry. Light refreshments will be served. Tickets are $10. F.A.M.E. is being held by the Arts & Letters Committee of the Stone Mountain-Lithonia Alumnae Chapter of Delta Sigma Theta Sorority Incorporated. 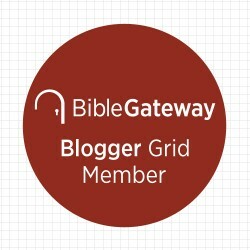 *Fellow author & blogger Ananda Leeke interviewed me at Blogalicious! Check out my interview here!!! *Check out my article on Columbia Pictures VP of Production DeVon Franklin in MOVIEGUIDE! Franklin is one of the creative forces behind great movies like “The Pursuit of Happyness” which starred Will Smith and “The Karate Kid,” which starred Jackie Chan and Jaden Smith! *My sorority sister Lola Brown, a two-time breast cancer survivor under 40 years old, will be taking part in the “Making Strides Against Breast Cancer” walk at Centennial Olympic Park on Saturday, October 29, 2011. Her story of recovery and hope is featured in After the Altar Call: The Sisters’ Guide to Developing a Personal Relationship With God. To help Lola raise money for the walk, go to her website.